I travel around the State for work and finding healthy food (let alone vegan and gluten free) is tough! Today I visited Sebasticook Family Doctors in Newport. I was advised to head back to Waterville to find decent food, but please do tell if you know of anything good. Good for me of course means not fried, not pre-made, with vegan options and locally sourced ingredients whenever possible. Yes I’m high maintenance when it comes to food. 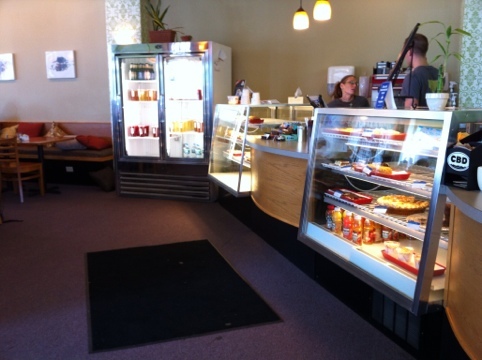 I called the Waterville natural food store to ask their opinion and they sent me to Selah Tea Cafe on Main Street. What a great little spot! 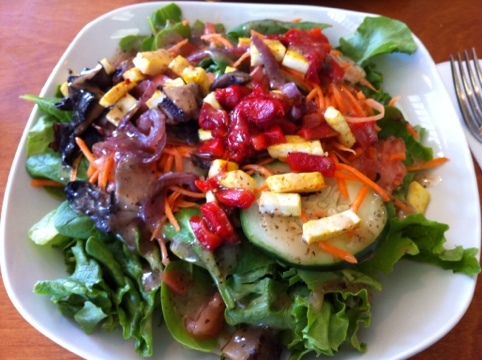 The food was fresh and healthy, and they had a nice vegan salad (w/o the cheese). 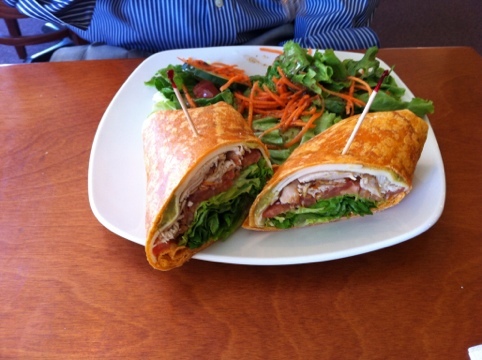 My coworker had a deli style wrap which comes with a nice side salad. Other choices included handmade pizza, sandwiches and salads. They also specialize in tea infusions. 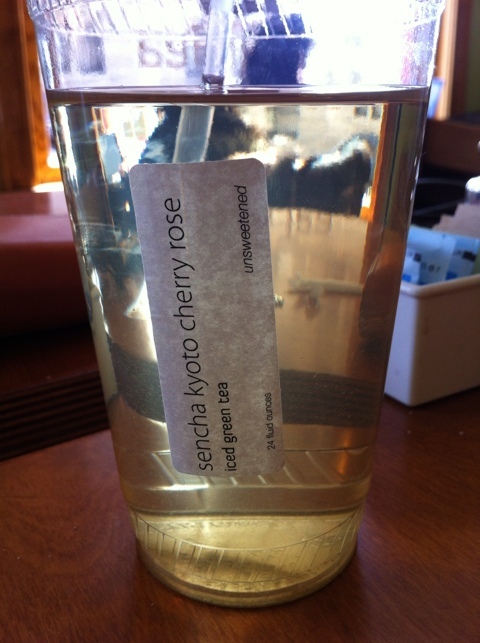 I had the Sencha Kyoto Cherry Rose iced green. Long name, great drink. I thought it was sweetened at first, but it was just the intense cherry floral flavor. Delicious! The crowd was mostly students from nearby Colby College and local business types on their lunch break. The atmosphere was relaxing with minimalist clean design and a live jazz musician strumming away in the corner. They had tables for eating, or comfy chairs and sofas for those sipping tea and taking advantage of the free wi. It’s hard to find decent places to grab a quick bite along the I-95 corridor north of Brunswick in my opinion. Thanks to this place I headed back down to Portland with a full belly of nutritious food.